The myBilling tool was developed for a consulting client who was looking for a way to save time in his billing. He is CPA and runs his own small practice. He never spends more than a few hours a day on any given client and it takes him a couple of days at the end of the quarter to bill all his clients, and it gets especially bad after the tax busy season. This tool accomplishes in minutes what took him days to do. The workbook contains 6 worksheets. An admin worksheet where the user inputs their company information and their email server information. A clients worksheet where all the client information is stored. 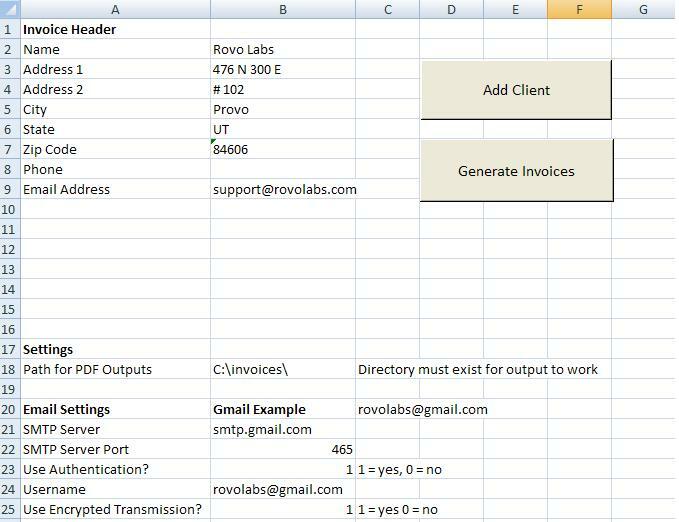 An hours worksheet where the data on current hours is stored, an invoice worksheet that tracks invoice numbers, clients, and whether or not they have been paid. A data worksheet where all past hours are kept. And a template worksheet where the invoice is created. After the inital setup is complete the user adds thier clients into the clients portion of the spreadsheet through the Add Client form or manually in the worksheet. Then the user begins tracking their hours and expenses in the hours worksheet. When it comes time to bill, the user click the Generate Invoices button ont he admin worksheet and specifies and end date for the billing cycle and the minimum amount of hours required to bill. 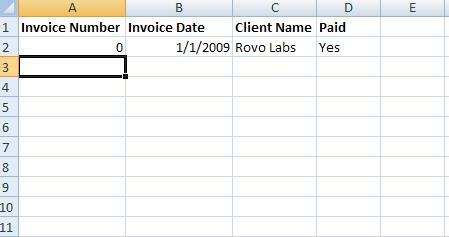 The macro then sorts and filters the data by client and generates an invoice for each client then prepares a pdf copy of that invoice to be emailed to the client. The user inputs a summary or any text they want into the body of an email that is then sent out with the invoice pdf as an attachment. Some example information is provided that the user can use to test the workbook on their own system. The current version of this tool is version .91 The workbook has been tested on several different systems and different operating systems and versions of office, however there are still occasional bugs being reported. The system has been tested on Vista (32bit & 64bit) and Windows XP (32bit) with Office versions 2007 and 2003. The 2003 version of myBilling does not work on Vista 64bit. The third party pdf printer used for office 2003 does not support Vista, however users have reported success with Vista 32 bit.